No one should profit by contributing to voucher programs. That seems logical, but Betsy DeVos and her friends want this tax scam to continue. Make sure you leave a comment with the IRS to end the use of the tax code so some can profit from their voucher donations today. We have a link and a message you can cut, paste and send. Go here to find everything you need. ARE YOU READY TO JOIN US IN INDIANAPOLIS THIS MONTH? If you have not registered, you still can. It is more important than ever that the friends of public education meet, strategize, and learn from each other. In addition to outstanding keynote speakers, we have extraordinary panels this year that you can find here. Register here today. Need help with registration costs? Send us an email. STOP THE FUNDING OF “ONLINE PRESCHOOL” AS A SUBSTITUTE FOR PRE-K CLASSROOMS. Let’s join our friends at Defending the Early Years and The Campaign for a Commercial Free Childhood to stop the growth of online preschools. In order to capitalize on the $70 billion “pre-K market,” educational technology companies such as K12, Inc. and CHALK are attempting to convince families and policymakers that early childhood education can be transmitted through a screen. Utah began funding one such program in 2015. Since then, thousands of families have enrolled, and the pilot program has extended to seven states with more to come. Tell your state legislators that online pre-school should be prohibited. We need fully funded universal pre-school classrooms instead. Send your email here. CONGRATULATIONS TO REVEREND BARBER, A 2018 MACARTHUR ‘GENIUS’ GRANT AWARD WINNER. The Reverend Dr. William J. Barber II is a fierce defender of equitable public education for all children as well as a leading activist for civil rights. 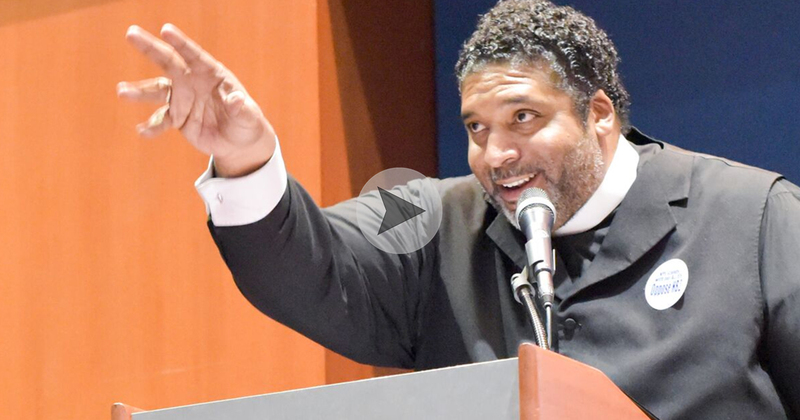 Watch our video of excerpts from the powerful speech he gave at our 2016 conference, in Raleigh, North Carolina, then please share the video on social media. His message is one everyone needs to hear. New research from Wayne State professors, Lenhoff and Pogodzinski say it is not. “Choice”, combined with the proliferation of charter schools in Detroit, has shuttered neighborhood schools and caused chaos and disruption in children’s lives. Read about the very real negative consequence of school choice here.